As a landlord, you have several good reasons to allow tenants to keep pets in your single-family rental home. Allowing pets can increase your pool of tenants and reduce tenant turnover as pet owners have fewer options available to them. The shortage of pet-friendly housing is notable, especially for renters who own dogs and large breeds. For many, a single-family home with a private yard is the only option. This means many renters are willing to pay a premium for pet-friendly housing. One of the keys to maximizing your revenue while minimizing the costs and risks of allowing animals is taking steps to make your property as pet safe as possible. Pet safe landscaping is a smart investment that helps protect your property from damage while making it more attractive to cat and dog owners. * Choose gravel or wood chips that won’t stick to longhair animals and get tracked into the home. * Only use organic herbicides, fertilizers, and pesticides on the plants and grass. * Select plant species that reduce fleas and are good for dogs to eat. This includes blueberries, wheat grass, oat grass, lavender, rosemary, and mint. Avoid lily of the valley, monkshood, iris, and foxglove. * Add urine-resistant plants such as Japanese spindle tree and Burkwood osmanthus. * Create a walking path along routes a dog would use, using a sturdy material such as flagstone or decomposed granite. This can prevent dogs from destroying grass. You can also add “road blocks” to the fence lines as many dogs patrol the perimeters and wear down the grass. * Create a digging pit covered with pine straw or cedar chips. Tenants can bury toys and bones in the digging pit to train a dog that it’s a safe place to dig rather than the yard. Research shows that tenants with pets are willing to pay more and even tend to stay longer in rental properties. Tenants with pets stay in a rental property for an average of 48 months compared to just 18 months for non-pet owners. This longer tenancy is likely caused by the difficulty in finding pet-friendly rentals, which means pet owners often have no choice but to stay or buy a home. While about half of all rental properties allow cats, only 9% of rental housing allows large dogs. 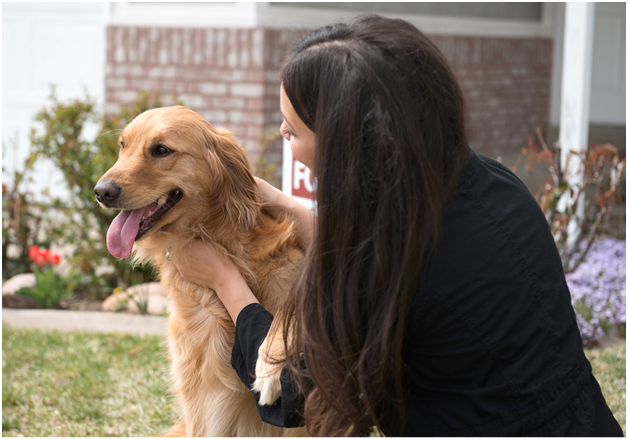 Preparing and marketing your single-family home to allow dogs in particular widens your tenant pool and helps attract renters who have very limited options. For these pet owners, condos and townhomes are almost always unavailable: they know they need to rent a house with a yard. After preparing your home to accept pets, it’s important to consider how much more you want to charge when attracting pet owners. Many landlords choose to advertise the pet-friendly features of a home, such as digging pits, laminate flooring, and a yard designed for animals, while asking for rent that is higher than that of comparable rental homes in the area. A growing trend is to instead charge “pet rent,” which is a monthly charge for the pets with or without a pet deposit. Pet rent can be tricky, however. In most cases, landlords can legally include a monthly pet rent fee if it’s a discretionary charge and relatively low. A safe bet is ensuring that any advertisements for the property state specifically that there is an additional charge for renting with pets. The most commonly cited concern from landlords about allowing pets is damage, but increasing the security deposit and the rent premium for a pet-friendly property can easily overcome additional costs. Landlords pay an average of $150 more per year for insurance on pet-friendly housing, an annual expense that’s less than the average premium from a single month’s rent. Making improvements to the home designed to minimize damage can also mitigate the damages associated with tenants’ pets. In particular, pet safe landscaping can help safeguard the area in which pets will spend most of their time and reduce the risk of damage to potentially high-cost items like fencing. The key to getting the best value from your pet-friendly home? Great marketing to highlight the home’s pet-friendly features, accurate pricing to optimize your profits, and steps like establishing pet zones to minimize potential losses. At Real Property Management, we work with property investors to provide comprehensive marketing, thorough tenant screening, and full-service leasing services. 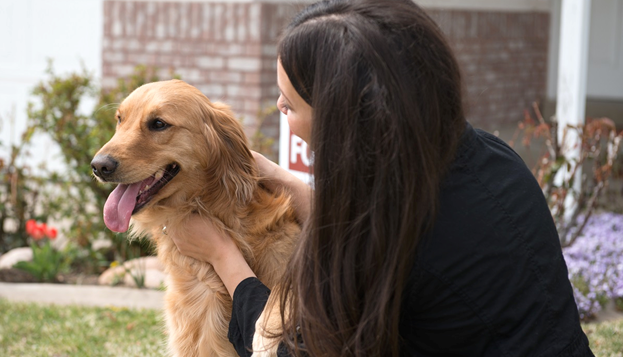 Want to learn more about how to maximize rent for your pet-friendly single-family home? Contact your local Real Property Management office today.